Winter season is favorite for thousands of people who love to ski and to spend time among the nature as well. 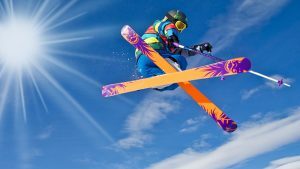 They use the snow to go to the mountain and to practice many exciting winter sport, as well as to relax surrounded by white fairy tale and fresh air… – All that sounds great! And if you have no patience to say goodbye to the summer season and to enjoy the winter one, stay here and learn where you can go when the beach is already closed ;)! Bulgaria and its mountains… Hardly there is another country like this one, that can impress you so strong with its amazing natural riches and cultural heritage. Except the picturesque nature that is a fact, you can see lots of wonderful old houses, sights and remarkable landscapes… Together with the skiing, you can enjoy both the culture and the history of Bulgaria by visiting some of its magnificent mountains! Another incredible winter resort in the country of Bulgaria that is also as beautiful and family-friendly as Pamporovo is the amazing Bansko ski resort. You can find it in Southwest Bulgaria, in the Pirin Mountain – at 927 m above sea level. Well, honestly, it is very difficult to choose where to go: in Pamporovo or in Bansko… Both of them are gorgeous and very cheap that is just great! Bansko is on the top of our list when it comes to ski, good hotels and nice restaurants. Of course, you can do that all in Pamporovo too, but Bansko is little bit different with its long ski runs, that are actually the longest ones in the country! Together with that, Bansko will provide you with the chance to learn more about the interesting culture of Bulgaria (just like Pamporovo), as near the resort is located the capital of Bulgaria – the city of Sofia (160 km from Bansko)! Bansko is visited in all seasons. Since this place has very good location, many locals and foreign tourists go there for having relaxation independently from the season. So, you can even book your holiday to Bansko in August! You will have amazing vacation and will want to visit once again this place – when outside is already snowy and when you are ready to ski! For the people who need lessons how to ski, there is an excellent ski school with professional coaches. 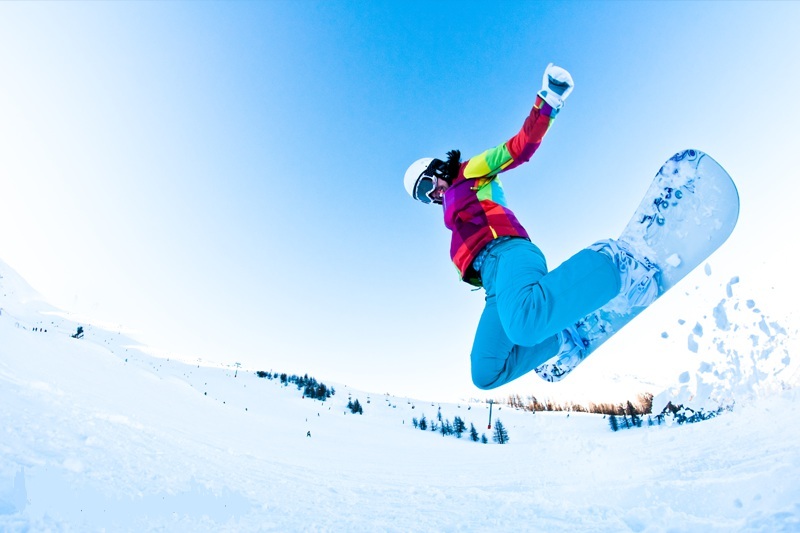 Every keen on this exciting sport can take advantage of the opportunity to make better its ski skills and to show to yourself that everything is possible, as long as you want it strong enough – or to learn ski! 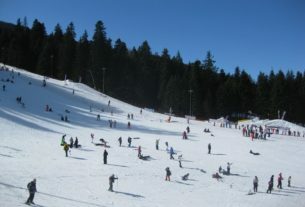 So, do not hesitate at all and just go to Bansko – on of the best ski resorts not only in Bulgaria, but in Europe too! Everybody who is seeking fora suitable place where to ski and relax, where to dine in good restaurants and to enjoy lovely nature as well, has to go to Bansko. There he will find excellent conditions for skiing, having fun and relaxation! – Just great! 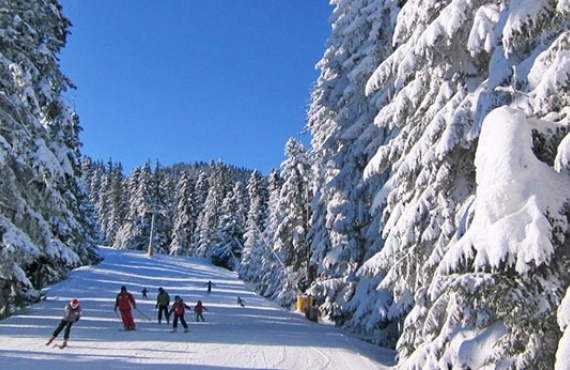 How many people you know who have been in Borovets skiing resort, Bulgaria? And you – have you ever been there? Did you know that this place is another amazing ski resort that you can visit in case you want to spend a different family vacation with your family? But what means “different”? What could be that thing that to make your holiday better than the other you have spent? – Rila Mountain! You can go there to enjoy the stunning nature of Bulgaria, as well to ski in the third winter resort we want to recommend you today! It is very beautiful, budget-friendly, offering to its guests attractive travel deals and in the same time it is perfect for relaxation… All families with children will have at their disposal nice hotels, excellent restaurants and taverns where to have lunch or dinner. They will also be able to try the Bulgarian cuisine that is very tasty and fragrant… Together with that, every visitor of Borovets will touch the Bulgarian folklore music while dining and even will have the chance to watch some of the folklore dances also called “horo”! Well, actually you can stay there as much as you like, because Borovets is a cheap place allowing you to try everything that the resort offers and to even extend your vacation. 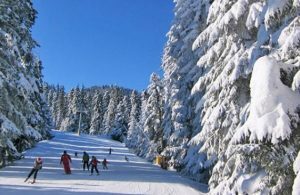 That’s why Borovets is so visited winter destination – there you won’t be worried about how to pay your bills, or how to spend your vacation so that the money you have, to be enough for you during the whole stay. As a final, we want tell you that Bulgaria is truly amazing land… From the nature to the people, everything there will make you fall in love with this country. Hardly you will find cheaper and more beautiful place than Bulgaria and its winter resorts, so go there this winter (or even now) and have a perfect family/solo vacation in the mountain. Enjoy! For more Bulgarian news – > Here.